I admit it, I love Martha Stewart. Granted, I don't have to spend any time with her and I don't have to work for her, so I have the ability to love her from afar. Her blog post today is the perfect example. 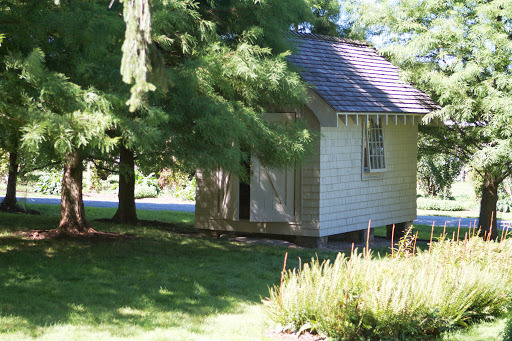 Ask yourself, if you had this cute little house sitting on your property, what would you use it for? A studio? A guest house? A quiet little get away? Mrs. Stewart uses it to store her baskets. It's her "Basket House." Now ask yourself, how many baskets do you need to own BEFORE they get their own house? I have a little building on my property that I wanted to make my Canning House, as I have tons of canning jars, but the cost was bit prohibitive, so my canning jars are living in the house with me. But I must admit I love the idea of my possessions having their own houses. Not only do I approve of baskets having their own abode, I love the idea of cleaning said house and using it as a photo op. 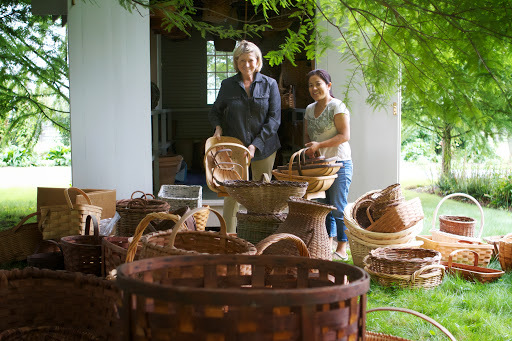 The post features a total of 43 photos of the Basket House cleaning, featuring the housekeeper doing the actual cleaning. There's a scary job, Martha Stewart's Housekeeper. I do worry that without her daily television show, Mrs. Stewart might have too much time on her hands. Rest assured she will think of something to do, and she will do it better than you! Martha and I would not get along. She is going to dominate to the death. And you struck the right cord about being her housekeeper. Grace Coddington her number 2 at Vogue has a memoir out in which she relates being asked by "Martha" to be her dresser. Ms. Coddington did not think twice about it, No. oh I love her too -but as you say - from a distance! I check into her blog every week or so and it's an odd mix of envy and inspiration. "When it came time for washing, Sanu reached for the Martha Stewart Clean Wood Floor Cleaner," while Martha (presumably) did not. You couldn't make this stuff up - but you don't have to.